Emerald Muse operates as a metaphysical boutique and expanded awareness centre with a bricks and mortar location in beautiful downtown Stratford, Ontario. Visit us here – or online – to find the tools you need to empower yourself and transform your life. 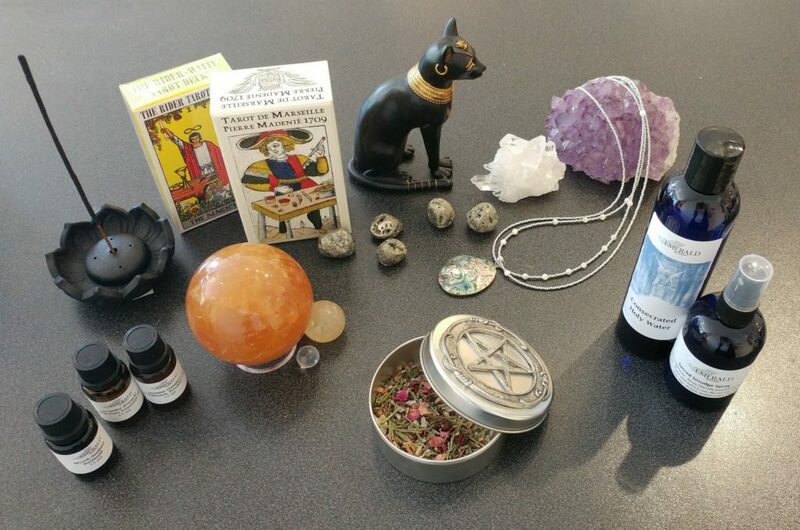 From spiritual statuary, salt lamps, crystals and crystal jewellery, to books and Tarot cards, ritual candles, specialty herbs and essential oils, we have an extensive variety of items to facilitate all manner of healing and magickal work. We also offer energy healing services such as Reiki, Brennan Therapy and crystal singing bowl meditations; intuitive readings with specialists in Tarot cards, runes, palmistry and mediumship; guided meditations for spiritual development through pathworking; and classes on a variety of magickal subjects. Our world is an incredible, magickal place, continuously growing, adapting and changing along with us. Created by an expansive loving power, we and everything else on this planet are conduits of that same energy. As such, there is no telling where any of us might venture – and we are passionate about pushing perceived boundaries! FREE shipping across Canada and the U.S. when you spend $75 or more (before taxes).